Overview: Derby Dollars is one of the newest and most elating releases from Real Time Gaming. 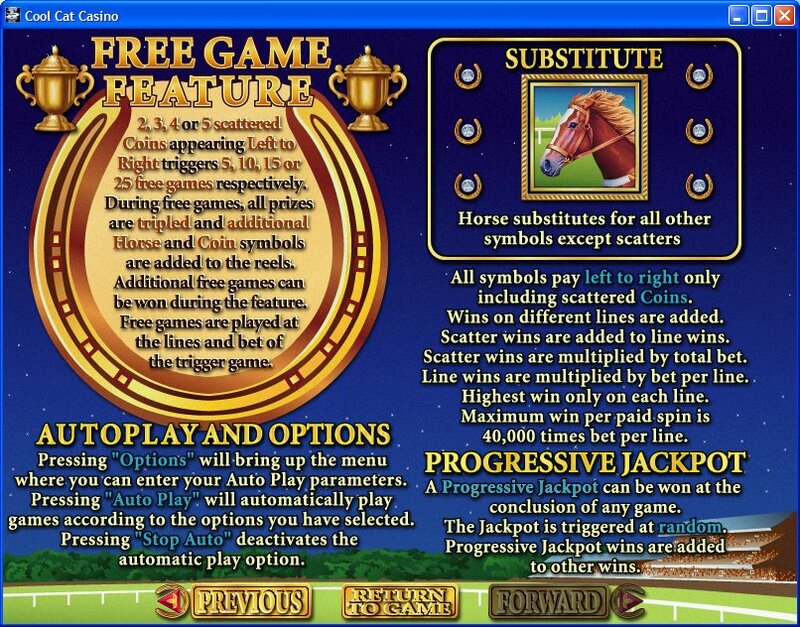 This new game is a Multi Line, Random Jackpot Slot Machine and this great new game offers Five Reels and Twenty Paylines, and a max per spin bet of up to twenty coins. This makes the game interesting and affordable no matter how much money you plan to wager. 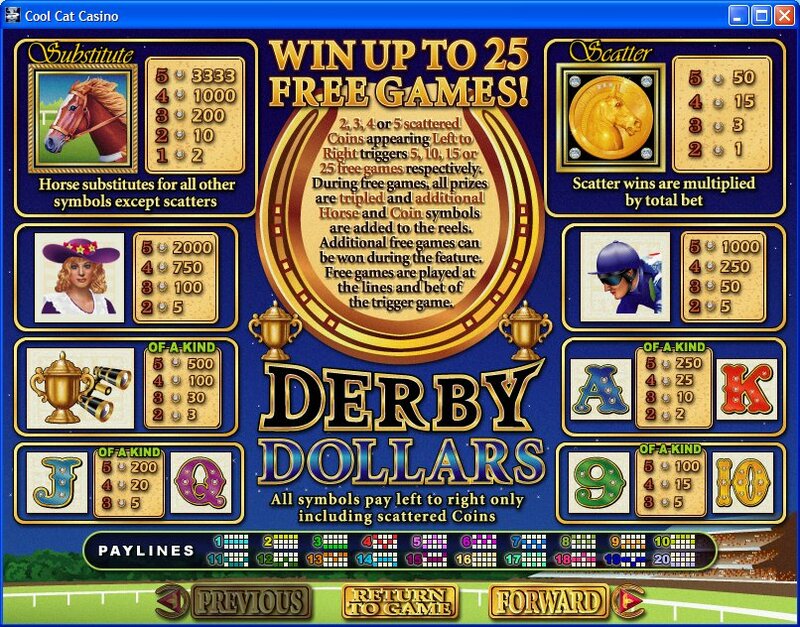 The theme Derby Dollars revolves around Horse Racing, and this has been very well animated by Real Time Gaming's creative use of graphics and sound effects. There are a number of attractive symbols in this slot machine. These include the Wild Horse, the Scatter Coin, the Lady, the Jockey, the Trophy, the Binoculars, and of course, the Ace, King, Queen, Jack, 10 and 9. The coin sizes offered for Derby Dollars include One Cent, Two Cents, Five Cents, Ten Cents, Twenty Five Cents, Fifty Cents, One Dollar and Five Dollars. 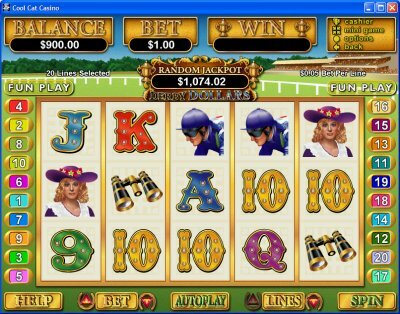 Similar Slots: If you like Derby Dollars, you might like these other slot machines from RTG: Haunted Opera, Henhouse, Mystic Dragon, Sea Captain, Sherlock Holmes, The Elf Wars.